Hibernian defeated Spartans 3-0 in the first of Sunday’s Scottish Premier League Cup semi-finals at Broadwood Stadium, followed by a 5-1 Glasgow City victory over Rangers. 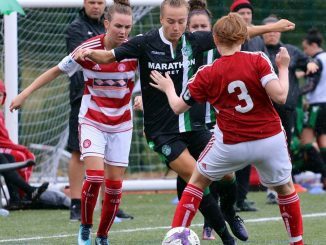 Tegan Reynolds hit the crossbar for Spartans before Lauren Davidson forced home a corner to give Hibs a 16th-minute lead. 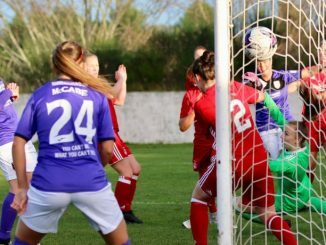 Hibs were close to a second when Kirsten Reilly’s shot was deflected onto the bar but Spartans might have equalised before the break with Kaela McDonald-Nguah meeting a corner and Jenna Fife catching it at the second attempt. 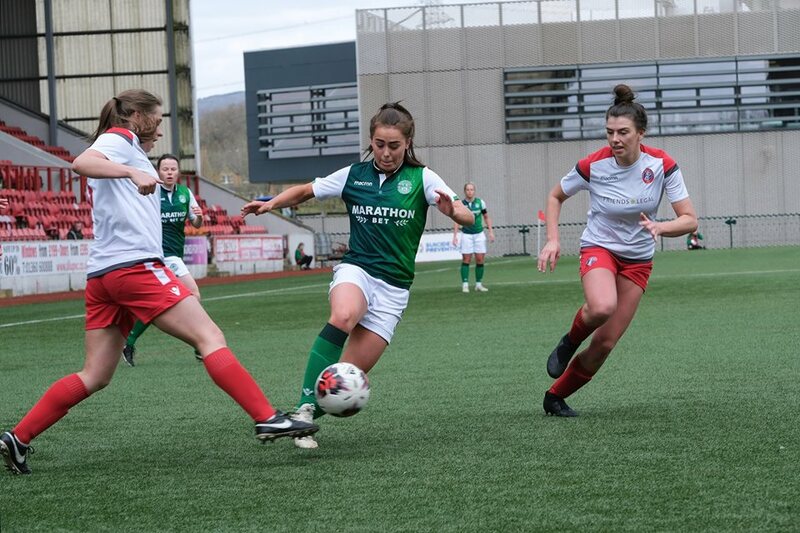 Amy Gallacher squared the ball for Jamie Lee-Napier to double the lead and with Hibernian now in control, Napier set up Lia Tweedie for the third. 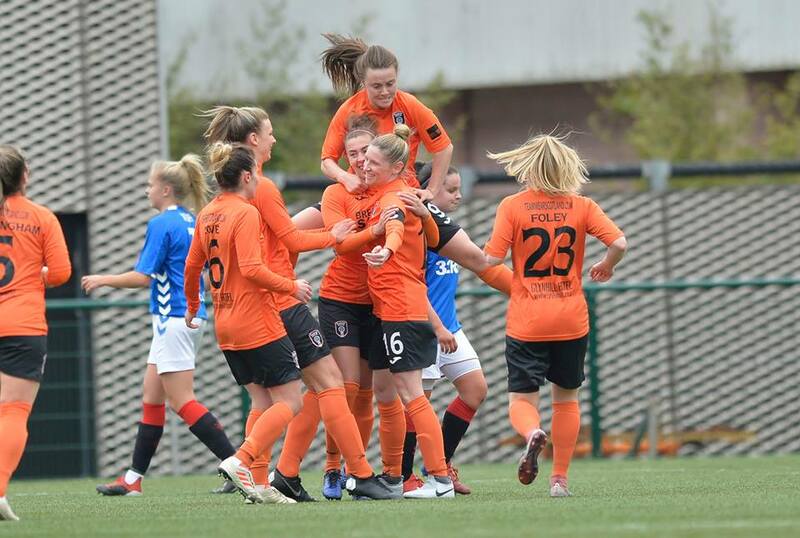 Nichola Docherty set Glasgow City on their way with two volleyed goals in the opening 16 minutes. Kirsty Howat flicked home the third when a corner was not cleared, a Clare Shine shot slipped through the keeper’s hands for 4-0, before Caitlin O’Hara pulled one back on half time. Leanne Ross completed the scoring 6 minutes after the restart, with a curling effort from the edge of the box. The final is on 10th May at Airdrie FC and tickets can be bought by clicking here. Meanwhile, there was one result in Scottish Building Society SWPL 2, as St Johnstone were 3-2 winners at FC Kilmarnock. Ellie-May-Cowie and Rachel Todd were among the goals as the Saints secured a first win of the campaign.